NIU students in need of extra help with their classwork now have a one-stop shop for locating tutors and other academic support on campus. A newly launched landing page for tutoring and academic support services provides a centralized hub of information. Features include a search tool that allows students to find course-specific assistance, links to all of the university’s tutoring resources, and links to resources for improving writing, studying and time-management skills. Political Science Professor Matt Streb served as chair of the Tutoring and Academic Support Working Group, which resulted from NIU’s program prioritization process. The group met several times in the fall to develop recommendations for streamlining NIU’s overall approach to learning assistance, while also improving its quality. The tutoring landing page is one of several key highlights of a report delivered to university officials in December. “The new resource provides a much clearer, easier way to find information in one source,” Streb said. The centralized hub is just one piece of the puzzle, with changes to tutor training and the development of short, class-specific videos also part of a vision for ramping up the academic support system. By this coming fall, all tutors and writing specialists will receive standardized training each semester to help create consistency among those who work with students. 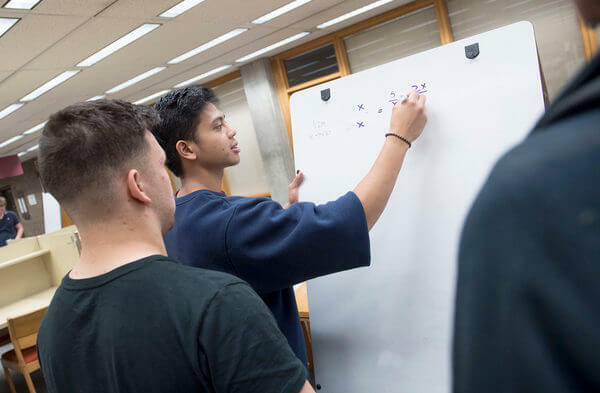 Taking a cue from the College of Engineering and Engineering Technology – which developed a series of “5-Minute Solutions” videos to review major concepts covered in class – the group suggested a pilot project to create similar virtual tutor videos for designated classes in six other departments. Streb said the group found the existing academic support structure worked well, which meant there wasn’t a need to start from scratch. The pilot programs and other recommendations, all of which were accepted, aim to tap into existing avenues for departments to work together in the name of benefiting student-learning experiences. Other approved recommendations include creating a council to oversee tutoring and academic support services (its first meeting is planned for this spring); establishing supplemental instruction for CHEM 210 and STAT 208; developing an online tutoring pilot program for fall 2017 for off-campus students or those who cannot meet a tutor in person; two new pilot programs for developmental math courses taught by NIU faculty and instructors on campus; and enhancement of the University Writing Center with the addition of cameras and headphones for providing support to online students.